Soup, soup, a tasty soup! | Amsterdam, baby! Soup, soup, a tasty soup! Hahaha. 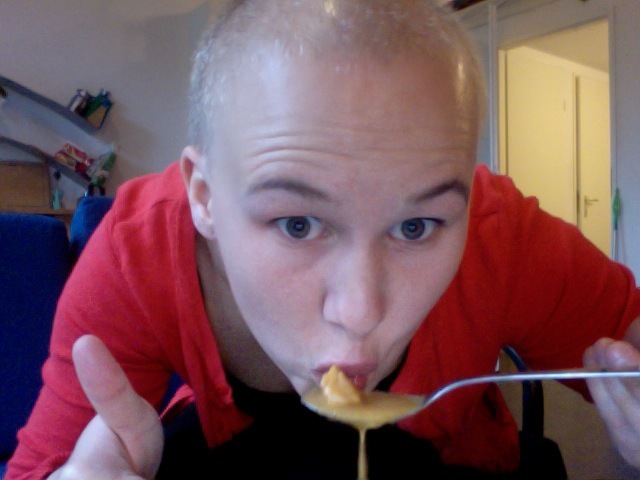 Anyways,the song really made me laugh and took away all my “making-soup-from-the-bottom” inspiration cause I got so hungray while watching it, so I ended up with pumpkin soup from “Albert Heijn” and I added some salmon in it. 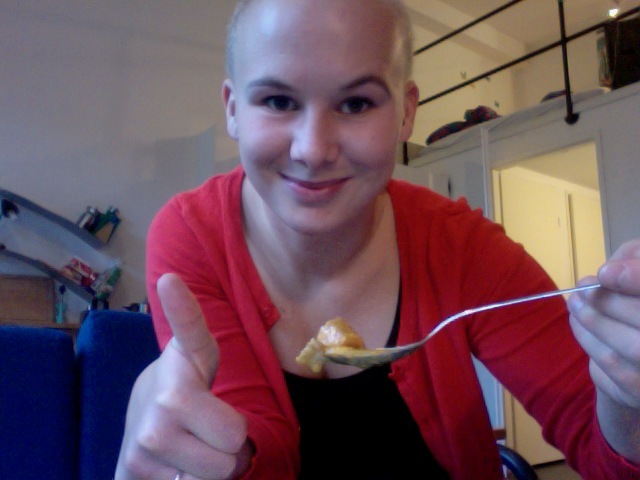 But I found out that it is quite hard to have a nice photo-booth “pose” and eat soup at the same time (as you can see)! Over and out. Cheers, Maypaj. This entry was posted in food, fun, LOL, music, yummy stuff and tagged Albert Heijn, Food, photo booth, pumpkin soup by maypaj. Bookmark the permalink.